Both 20-foot and 40-foot pricing available. Loose freight charged per piece. Charged on a cents per carton weekly basis. All completed with dedicated tailgated trucks. Despatched daily. All deliveries tailgated. Daily despatch. Tasmanian freight sails daily. Talk to us to devise the most appropriate plan to suit your needs. Fully compliant administrator of the NTCRS, our continually evolving service goes way beyond simply hard TV and computer recycling. New weekly service to Northern Territory, includes door to door service to Alice Springs, Katherine and Darwin. Efficiencies is more frequent using QLS Group fleet and damage rates reduced to NIL from 2-4% when using On-Forwarders. 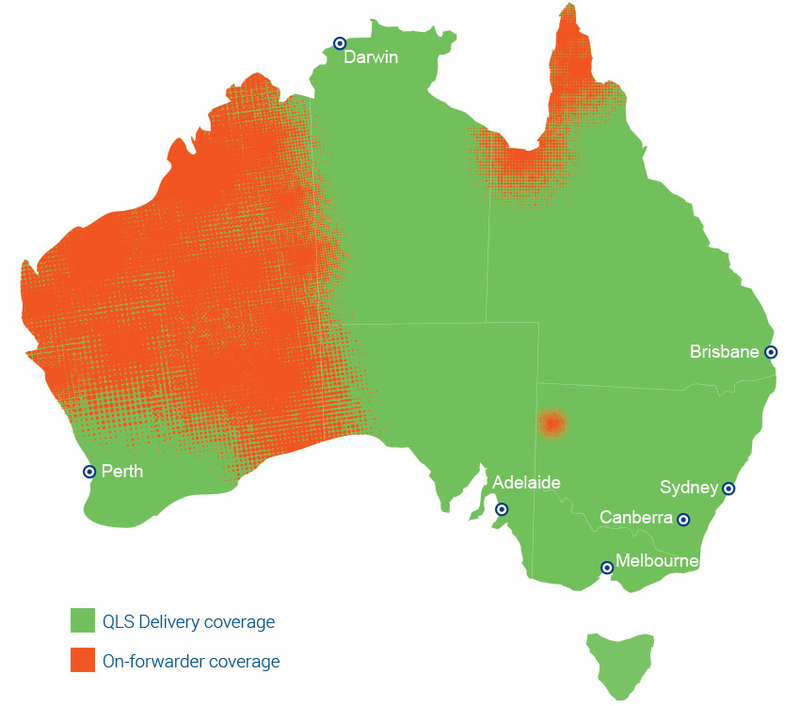 Over 99% of all deliveries are made door to door in QLS Group trucks!